Today’s guest is the amazing queen herself, LaQuisha Hall. LaQuisha loves and uses the term queen to describe other women in her life and she definitely represents the term very well herself. I found LaQuisha via Instagram and fell in love with her enthusiasm. She is a gem! 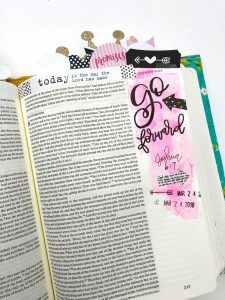 Today she is going to share with us how you can Bible journal even if you don’t want to write on the Word. 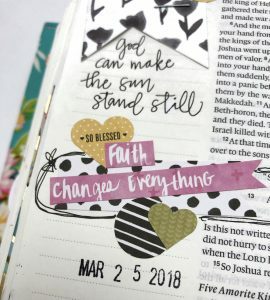 I’ve been Bible journaling for two years and I have journaled in a Bible each year. 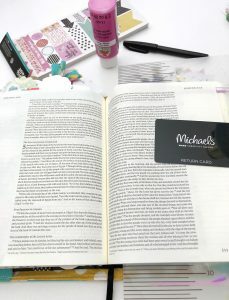 I am currently working on my third Bible. 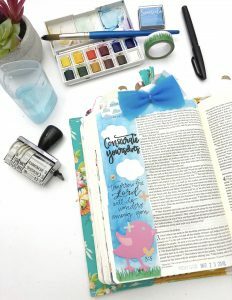 I stumbled upon photos of Bible journaling entries on Pinterest and just knew I had to find out more! 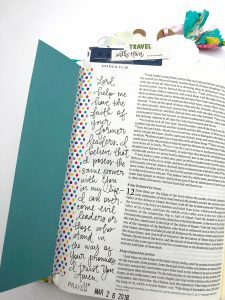 I started by hunting down a journaling Bible and then just freely and often randomly drawing in the margins, lol. Now, I would describe my style as feminine, because I always include women, hearts, polka dots, florals, and lettering. 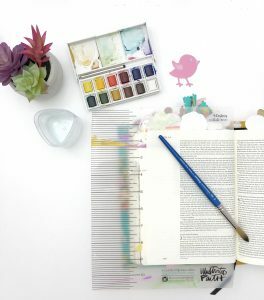 One of my favorite things about Bible journaling other than spending precious time with God is sharing my testimony with the world through my favorite colors: purple, teal, and gold! 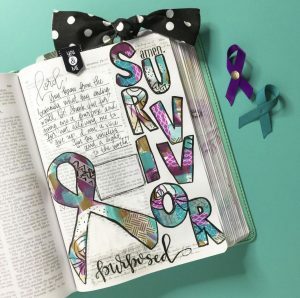 Each of these colors is dear to my heart as they are the awareness colors for past pains that I had to overcome: domestic violence (purple), sexual abuse (teal) and the color that signifies what I now walk on in Christ (gold). 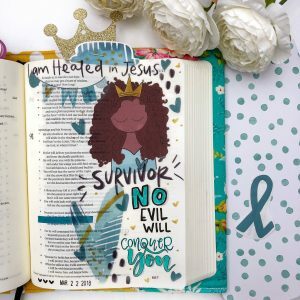 I have able to not only share my story but also show what life after abuse can look like: I am MORE than a conqueror! 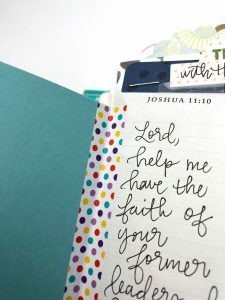 I adore brush pens as I love lettering in my Bible! 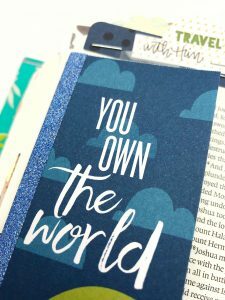 I am a self-taught brush and hand letterer. I love the beauty of a simple or colorful background with powerful words lettered across it. 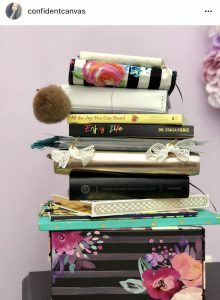 I journal in everything: journaling Bibles, regular Bibles, planners, Little Psalms Book, travelers notebook inserts and traditional journals! 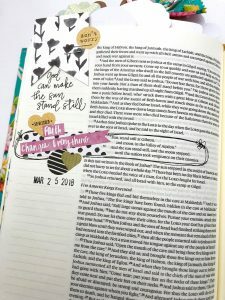 A common question I get from those who are not familiar with Bible journaling is how can I read the text after coloring over it. 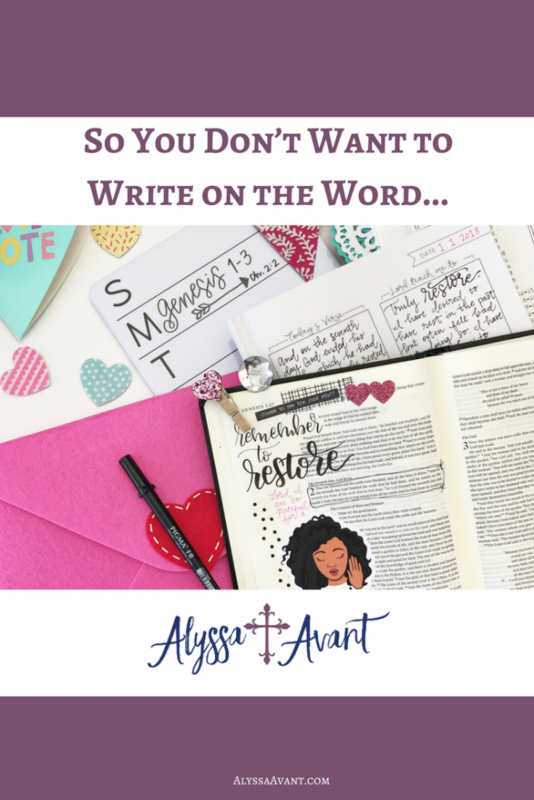 The truth is, the book that I journal in is not the same Bible that I study from. 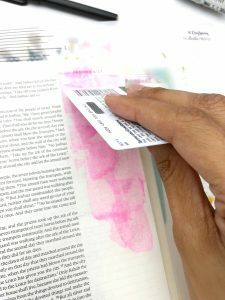 However, there is an alternative to coloring over the words: create only in the margins! 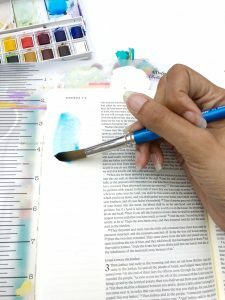 Watercolor in the margins and hand-letter (or use alpha stickers). I added a small bird die cut and cloud post-it notes! 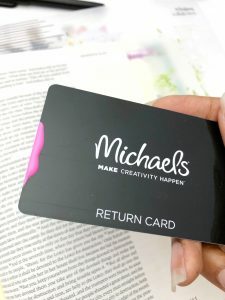 Acrylic paint scraping in the margins (using an old gift card—baby wipes can be used for darker strokes) and hand-letter (or use alpha stickers). Be sure to use a very thin layer of paint—it’s easier to build than remove! 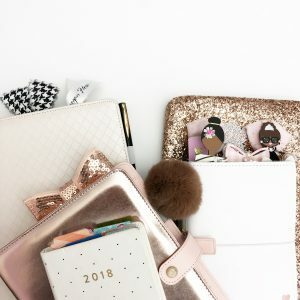 Layering small stickers on top of each other for a clustered look. 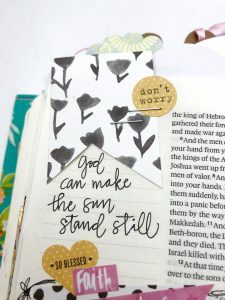 Using a tip in: Paper added to the page using washi tape. 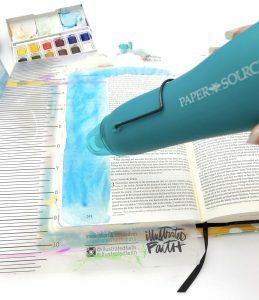 I use washi on both sides of the added paper for stability. 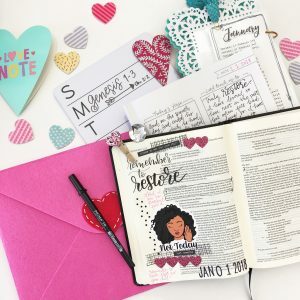 Private journaling can be done underneath. In closing, you do not have to paint the entire page to create something beautiful! Just as music, clothing and other parts of culture have changed, so has forms of worship. Jesus is the same yesterday, today, and forevermore, but we can change the way we worship Him, especially if other ways are not effective. 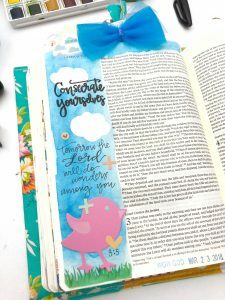 I’m a creative, so I struggle with just listening to someone talk about God—I want them to show me. 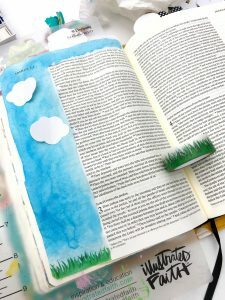 Bible journaling allows that outlet for me. And don’t ask your grandmother what she thinks, lol. 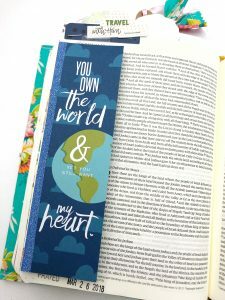 Getting the approval of man instead of God to do Bible journaling can cause you to become conflicted in your thoughts. Pray about it and follow His lead ONLY.